Advertising is for the labor force, NOT the general public. 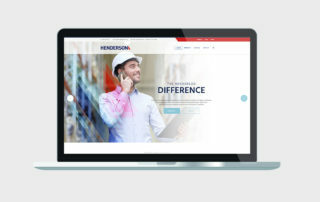 Henderson’s old brand, at a glance, made them appear to be just another industrial player in the crowded Houston market. While those in the know were aware that Henderson was so much more, outside prospects still didn’t have a complete picture of the incredible levels of service and capabilities that Henderson brought to the market. When successful entrepreneurs set out on new adventures, they often need a new brand to bring those new campaigns to life. 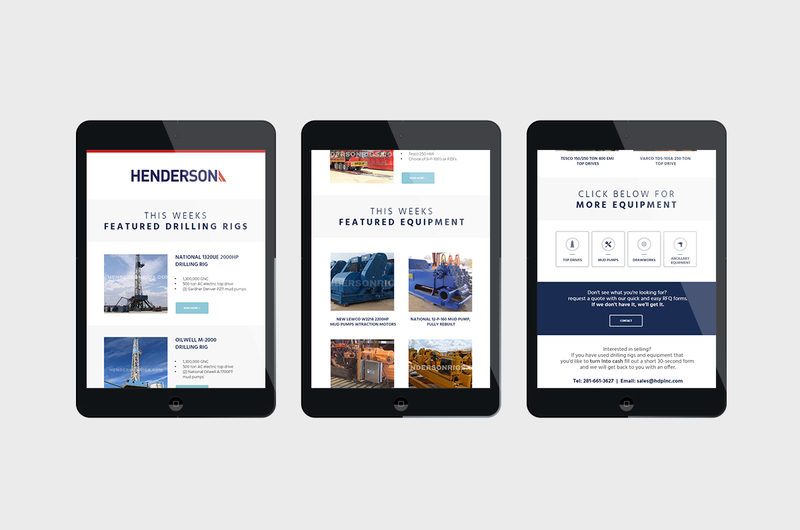 For Henderson Rigs & Equipment, they needed to compile their truly revolutionary service and philosophy into a single brand identity. 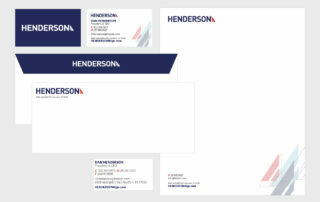 A brand new logo look for prospects on both the employment side and the client side of the business. 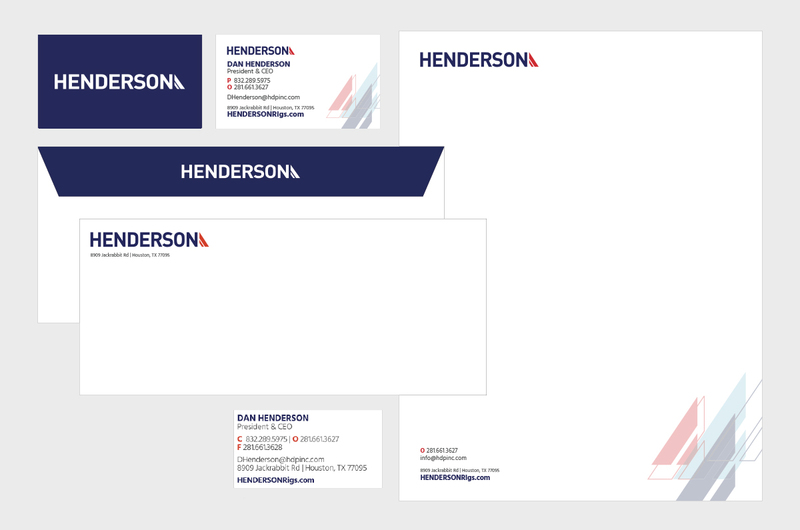 A news brand and complete ID package: collateral, website, business cards, and letterhead. 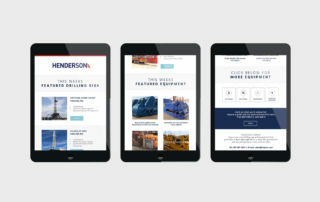 New site layout complete with easy purchase for all equipment. New photography to enhance the professionalism of the company look. Complete OTC entertainment strategy to drive traffic and siphon attention from the conference in a brand-positive way. Complete voice overhaul to add vibrancy and life to the brand. A smash success at OTC. Complete rebrand, including all digital, print, brick & mortar, and on-site signage. #1 market position for everything Henderson does.